There have been reports in the media recently about Father Thomas Rosica, the priest and Vatican spokesperson who has been plagiarizing material for years (Breen 2019a, 2019b). Just a few days after the story broke, Father Rosica resigned from his position on the governing body of the Collegium of the University of St. Michael’s College, University of Toronto. Why is plagiarism by a priest so offensive? Well, for starters, the word “plagiarism” means “literary theft”. One of Ten Commandments that underpins Christian faith is “Thou Shalt Not Steal”. Scholars of plagiarism have noted the act of plagiarism as being a transgression against Judeo-Christian values (Colon, 2001; Park, 2003). According to the news reports (Brean, 2019a, 2019b), Father Rosica claimed that his plagiarism was unintentional, a result of having to meet demanding media deadlines. Being unable to cope with time pressure and deadlines is often one reason cited in the literature as to why students commit plagiarism. But there’s a key difference. Father Rosica is not a student. He is a high-ranking Church official who presumably has the agency as an adult to manage his time. And presumably, a highly educated priest should have known better. It is hard to believe this was a sin of ignorance. According to news reports (Brean 2019a, 2019b), the optics worsened when Father Rosica allegedly cast blame towards junior staff who helped him prepare the content of his communications. Let’s get one thing straight. It is wrong to plagiarize. It’s even worse to blame others when you are the one responsible for the communication. It seems that Father Rosica has confessed his sins and seeks forgiveness, which I have every confidence he will be granted. But forgiveness does not equate to the restoration of the public’s confidence. Nor can forgiveness fix an individual’s reputation. Father Rosica is in a position of great moral authority and power. Plagiarism is a moral transgression, even when it isn’t a legal one. In certain professions (including priesthood), reputation is everything. I suspect that although Father Rosica may be granted the forgiveness he seeks, the damage to his reputation may be irreparable. Colon, A. (2001). Avoid the pitfalls of plagiarism. The Writer, 114(1), 8. 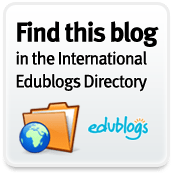 You are currently browsing the Learning, Teaching and Leadership blog archives for February, 2019.